Wine bottles might be the most used item, especially during holidays. Wondering what to do with the empty bottles? Here are a few easy and inexpensive ways to create lights with these old wine bottles. Wine bottle chandeliers are easy to make with just the number of bottles and the connectors and electrical necessities. The only trouble here to prepare the bottles and cut them into the shaped you want. They can be placed in the kitchen and dining areas or simply in the corridors. 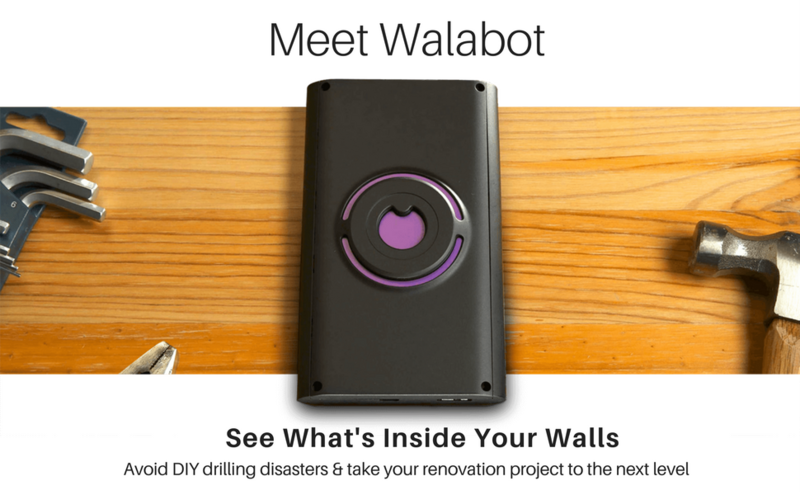 Stay vigilant while doing home improvements with Walabot DIY that sees through any objects – drywall, concrete, tiles etc. Developed by Vayyar (who first developed the 3D imaging for breast cancer screenings), Walabot DIY imaging device is quite popular among many users for home and office purposes. The uneven cut bottoms of the wine bottles can be arranged on an old wheel. Give the bottles some smoky paint to give a contemporary look and have the wooden wheel painted white to have elegance. Wine bottle lamp with some gel wax inside the bottle makes a glowing night lamp. Fill the bottle with gel candle wax and arrange a light at the opening. Using a low watt bulb will make it a night lamp. Clamp the wine bottle horizontally and insert an old letter or a picture of your choice. Put in the long and slender light bulb inside to make it a décor lamp. The same may be done vertically or in combination with 2 or more wine bottles. Pendant lights made of wine bottles may be used over the dining tables or island kitchens. Select same colored or differently colored bottles. The choice of light color and type will give it different looks. Using multi colored bulbs can make it a décor light. Fill in the wine bottle with some crystals or glowing gels. Fix a light holder and necessary wiring. Make a cap of desired lamp shade and fix it on to make an easy wine bottle table lamp. Colorful bottle lanterns are made by cutting out the bottom part of the wine bottles and using them to cover the glowing candles. Color the bottles differently. Accent lighting is the easiest of all. Simply make a hole at the lower end of the one or more wine bottles and insert the colored string lights through it. Insert as much as possible and connect it to the power. The glowing lights make good accent lights and the color of the bottle make it different from one another. Cover the wine bottles with some snowy glitters on the outer side and insert the string lights inside to make Christmas decoration pieces. Garden pathway lights can also be made with wine bottles. Cut out the bottom and connect the wine bottles upside down on lamp stands and insert the bulb to make post lamps on the garden pathway. Color of the bottle does not matter but make sure to remove the labels. Secure the bottles with some metal wires for extra safety.